The Constellation ("Connie") was a propeller-driven airliner. It was built by Lockheed between 1943 and 1958; a total of 856 aircraft were produced in numerous models, all distinguished by a triple-tail design and dolphin-shaped fuselage. The Constellation was used as a civilian airliner and as a U.S. military air transport. 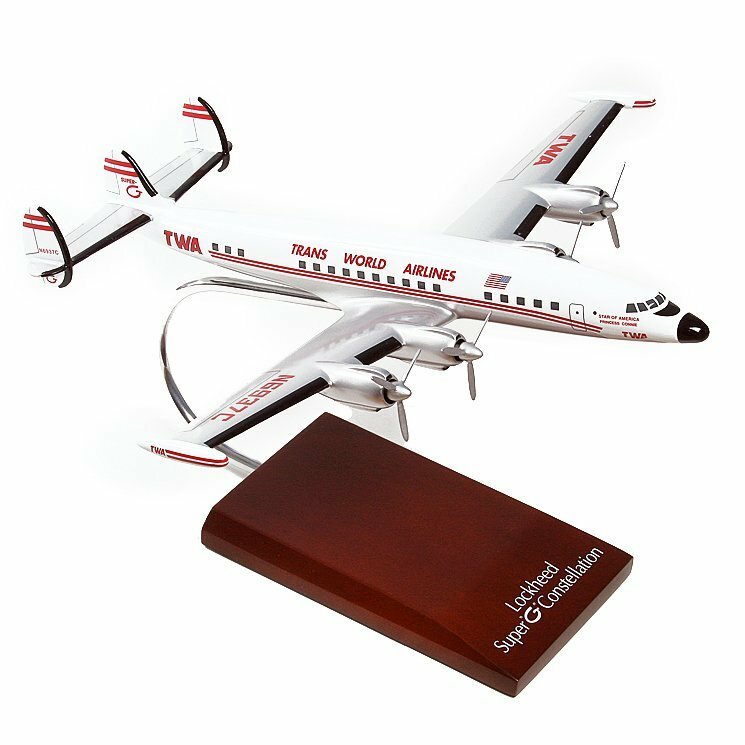 This specific Constellation model is painted as an airliner for Trans World Airlines (TWA). TWA was an American airline that existed from 1925 until it was bought out by and merged with American Airlines in 2001.